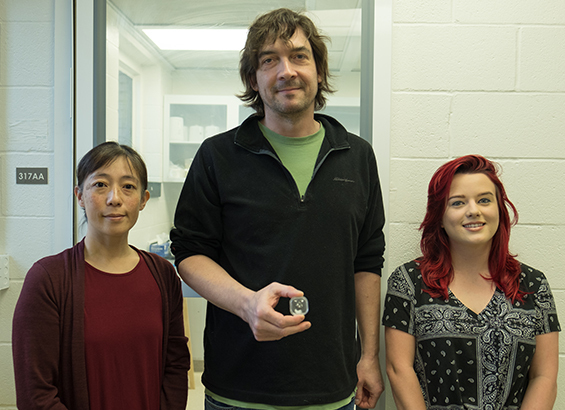 (l-r) Minako Righter, researcher and lab supervisor; Tom Lapen, geology professor; and Stephanie Suarez, geology graduate student are analyzing fragments of the Tissint meteorite. In July 2011, a meteorite from a Martian volcano fell in the Moroccan desert, and fragments of it rained across a wide area. Several people saw this happen— which is rare— and quickly grabbed what they could. Since then, scientists from around the world have been studying pieces of the Tissint meteorite, named after the small town in Morocco where it fell. They’re looking for evidence of life on the red planet. At the University of Houston, a team of researchers in the College of Natural Sciences and Mathematics is analyzing a few small fragments with the help of a $349,520, three-year grant from the NASA Solar System Workings program. The research team— geology professor Tom Lapen, researcher and lab supervisor Minako Righter, and geology graduate student Stephanie Suarez— is trying to answer an important question: Just how old is this rock? Preliminary analyses of samples of Tissint fragments have revealed conflicting ages. Lapen and his team think it’s possible the fragments may include material from multiple rock layers that formed at different times on Mars. 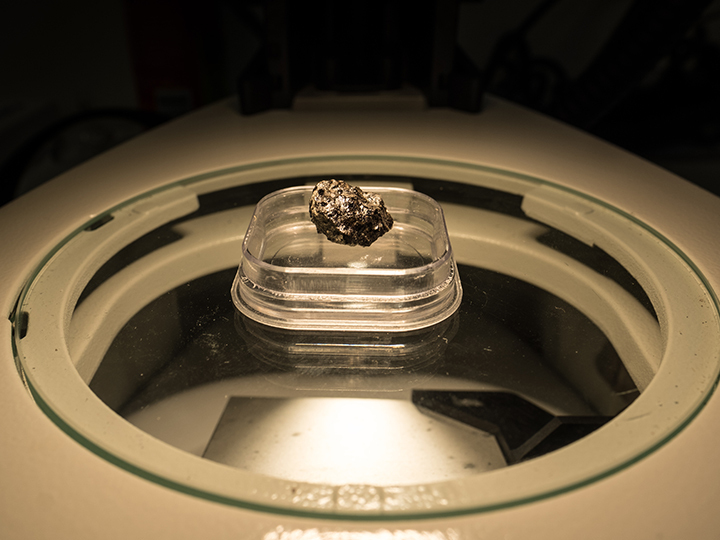 In addition to Tissint, the research grant will facilitate analyses of other Martian meteorites from Northwest Africa and Antarctica with the goal of learning more about the volcanic history of Mars and the evolution of the Martian lithosphere, which includes its crust and upper mantle. The University of Washington and University of Wisconsin are collaborating with UH on this project.